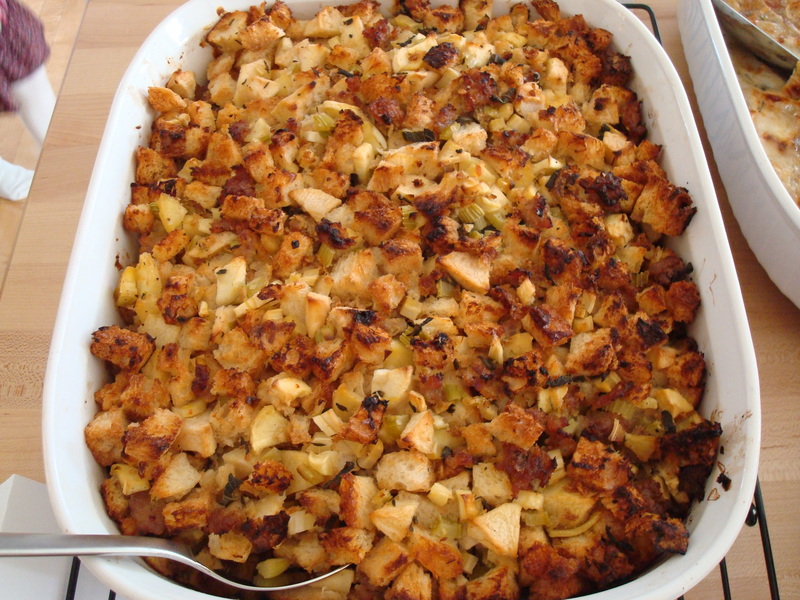 I’m deep into my preparation for next week’s Thanksgiving meal but as I’m posting the recipe and pictures for this stuffing that I made last year I’m having second thoughts about the stuffing I’m planning to make this year because the sausage-apple stuffing was so good! 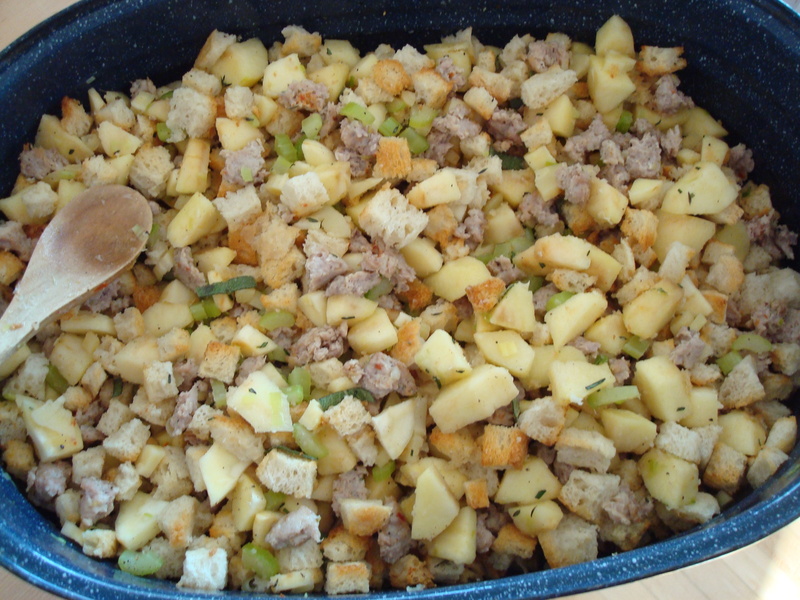 This stuffing also incorporates another of my favorite food combinations: mixing salty and sweet components– in this case, adding apples and sausage to the rest of the more standard stuffing ingredients of bread, celery, leeks, and chicken broth. There is one more unexpected stuffing ingredient in this dish and that is parsnips. I love parsnips, (as seen here and here) and they really do add a different dimension that is a little sweet and a little spicy which compliments everything else that is going on. You’re going to need a REALLY big bowl or pan to mix all of the ingredients up together, and fortunately my mom saved my grandma’s old oversized roasting pan for just this sort of thing. In fact, I think this is the one time of the year the pan comes out of the attic to shine, and shine it does. Mmm, look at that golden goodness. If I remember correctly there were no leftovers of this particular dish, so if you are in need of a stuffing recipe for your Thanksgiving meal I highly recommend this one! 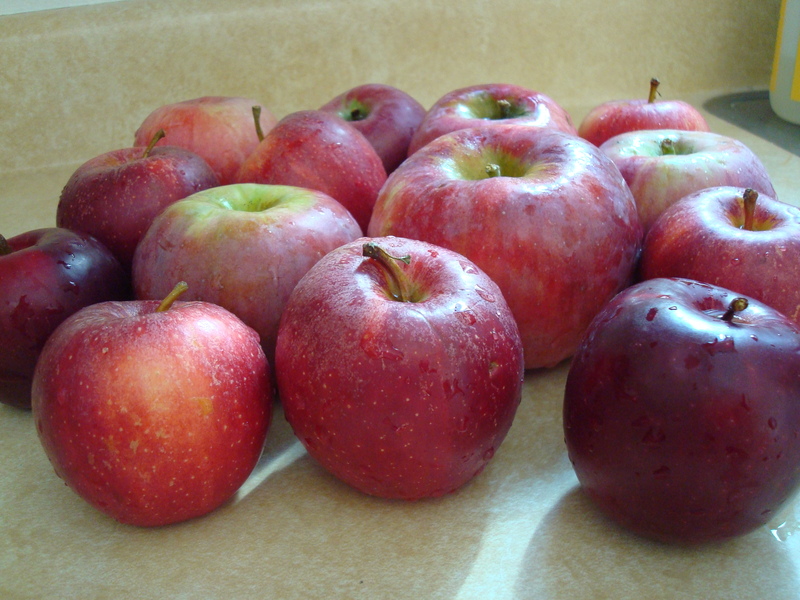 Preheat the oven to 450 degrees F. Heat 1 tablespoon butter in a large skillet over medium-high heat until it melts and starts to brown; add the apples, reduce the heat to medium and cook, stirring, until slightly tender, about 4 minutes. Stir in the honey and vinegar, then transfer to a large bowl to cool. Melt 2 tablespoons butter in the same skillet over medium-low heat. Add the bread cubes and toss to coat, then transfer to one side of a large rimmed baking sheet; add the sausage to the other side. Bake until the sausage is cooked through and the bread is toasted, 8 to 10 minutes. 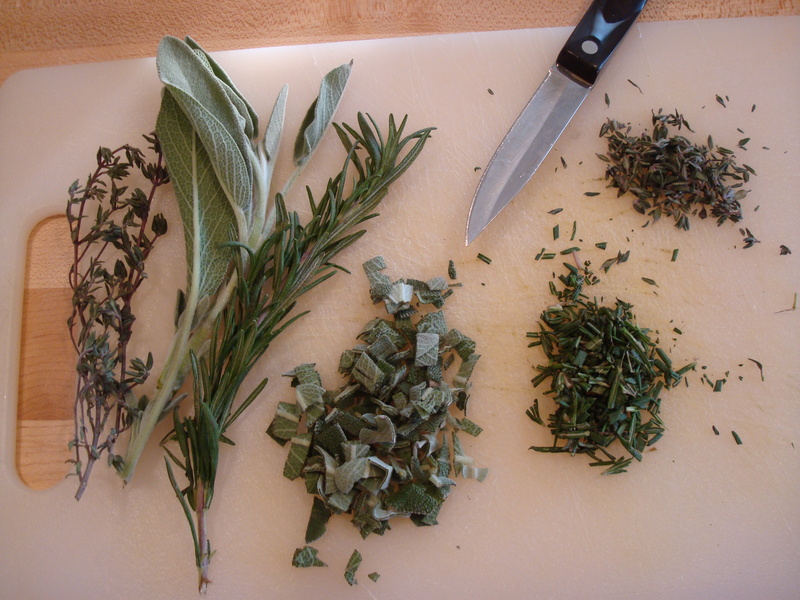 Add the sausage and bread to the bowl with the apples; add the sage, thyme and rosemary. Heat another 1 tablespoon butter in the skillet over medium heat. Add half each of the leeks, celery and parsnips, and 2 tablespoons water; season with salt and pepper. Cook until the vegetables are translucent, about 8 minutes, then transfer to the bowl with the sausage-apple mixture. Add the remaining leeks, celery and parsnips, and 2 tablespoons water to the skillet, season with salt and pepper and cook about 8 minutes; transfer to the bowl and toss. Warm a spoonful of the stuffing in the skillet with a touch of butter and taste the seasoning; adjust as needed. (It’s so important to taste your stuffing while it’s hot to get a sense of the seasonings and flavors.) Add the chicken stock to the bowl and toss to moisten all of the ingredients. Reduce the oven temperature to 350 degrees F. Brush a 9-by-13-inch baking dish with 1 tablespoon butter. Transfer the stuffing mixture to the dish and dot with the remaining 3 tablespoons butter. Cover with aluminum foil and bake 40 minutes, then uncover and continue baking until golden brown, about 40 more minutes. Last night I was not feeling super motivated to cook supper. (PS- it’s only called supper on Sundays. The rest of the week it’s just referred to as dinner.) I wound up leafing through the most recent issue of Bon Appetit looking for some inspiration and found recipes for parsnip and Brussels sprouts side dishes and since I happened to have both on hand (and also love both) the meal was starting to take shape. (Check back later in the week for the side dishes.) But what to do for a main course? A few weeks ago when I was home my dad sent me back with a cooler full of beef from his farm. Grass-fed goodness right there in my freezer. I’m not even a big meat-eater but this is definitely the way forward if you’re going to partake. I started researching meatloaf recipes because that is always a great way to stretch out a small amount of meat into a proper dish. Problem is now that I am off the wheat I was having a hard time finding a recipe that didn’t involve breadcrumbs and then I found not one but two recipes where oatmeal was substituted for breadcrumbs. Eureka! Better yet the recipe I landed on had lots going on in it including prunes and bacon. Sold! This loaf is moist and a little salty with a touch of sweet and I dare say it’s the best meatloaf I’ve ever had in my life and my dining companion (who doesn’t hand out compliments freely) agreed completely. The perfect main dish for a Sunday supper. Soak oats in milk in a large bowl. Meanwhile, cook onion, garlic, celery, and carrot in butter in a large heavy skillet over medium heat, stirring occasionally, 5 minutes. Cover skillet and reduce heat to low, then cook until carrot is tender, about 5 minutes. Remove from heat and stir in Worcestershire sauce, vinegar, allspice, 2 teaspoons salt, and 1 1/2 teaspoons pepper. Add to oat mixture. Finely chop bacon and prunes in a food processor, then add to onion mixture along with beef, pork, and eggs and mix together with your hands. 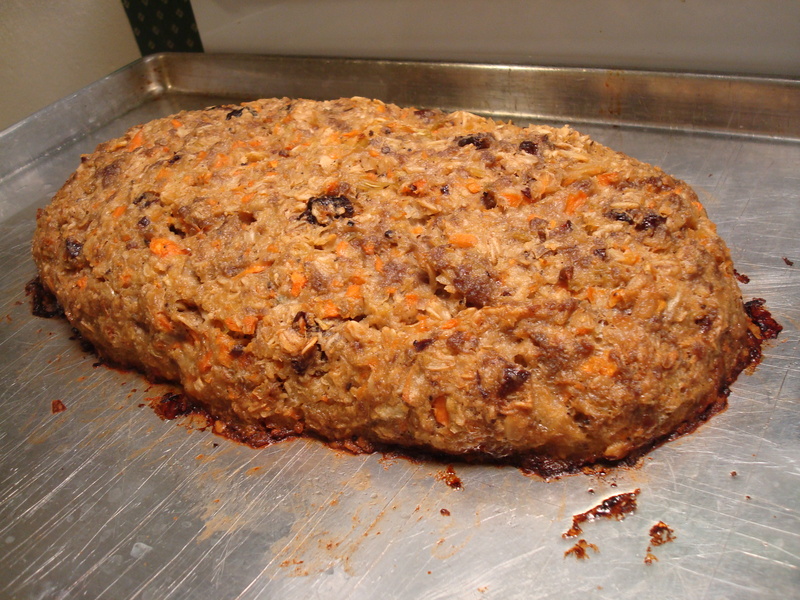 Pack mixture into a 9- by 5-inch oval loaf in a 13- by 9-inch shallow baking dish or pan. 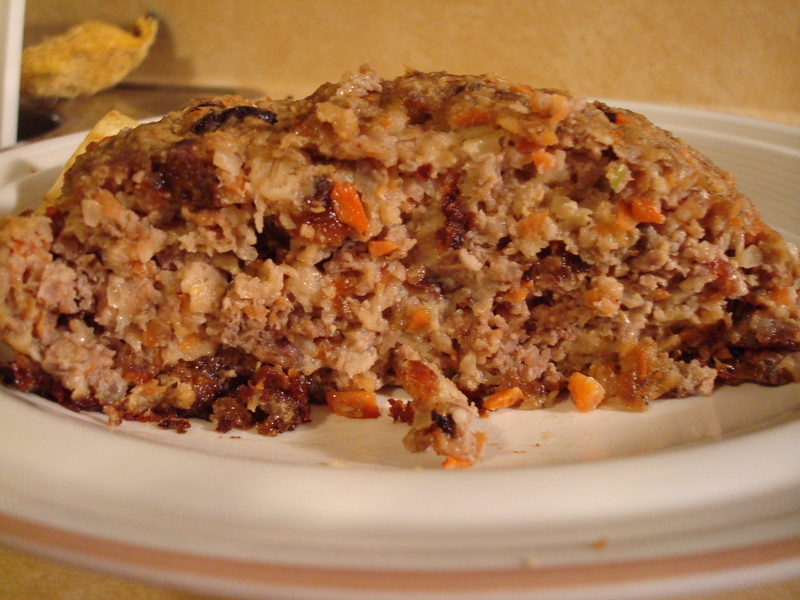 Bake until an instant-read thermometer inserted into center of meatloaf registers 155°F, 1 to 1 1/4 hours. Let stand 10 minutes before serving. 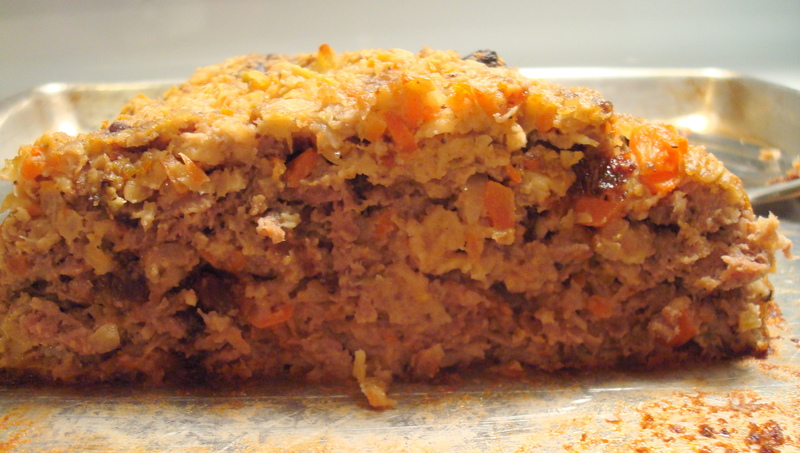 Cooked meatloaf keeps, chilled, 3 days.